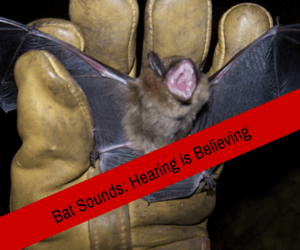 We often get calls from people that they can “hear bat sounds” in their home. 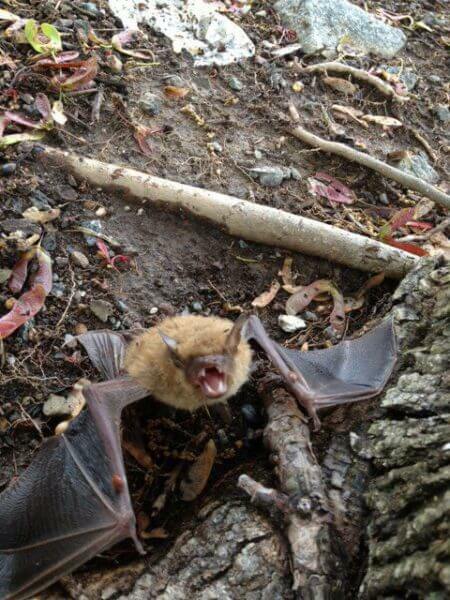 Believe it or not, bats are actually very quiet animals. Most people do not know they have a colony of bats living in their attic until they see signs of guano scattered about their home or have one accidentally wind up in their living room. Bat sounds are indicative of a larger scale problem. Once they get to the point where you can hear them, you most likely have more of a problem than you may realize. Before hearing the tell tale squeaks and scratching noises bats can make, there are three things you can spot beforehand. Bats flying around outside your home – It is perfectly normal and natural to see bats flying around outside at night foraging for food and water. What is not normal is seeing bats constantly hanging around close to your house. Homeowners will sometimes report bats hanging on their fences, the eaves of their house, or on a porch or balcony. If you are uncertain if there are just bats hanging around or if they are actually living inside your home, set up a “twilight watch”. At sunset, take a lawn chair outside, sit down, and look up at your house. Just sit back and watch for bats leaving their roost for the night. If you do have bats in your house that’s one way you may see them. Rub marks on the outside of the building around areas with holes or cracks – Bats carry oil and dirt on their fur. 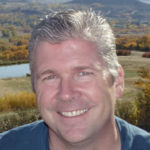 As they are entering or exiting your home over time they will leave this oil and dirt behind. Giving your home a tasteful “dirty” look. We recently posted a blog about Chimney Swifts. These are noisy little birds that people often mistake for bats in the chimney. We have a great audio file of some Chimney Swifts we found on an inspection last month. Check out our YouTube channel here to listen to that. If you aren’t sure if your sounds are bats, birds, or mice we are happy to come investigate for you.